“I was called upon recently to deliver an address at a series of graduations throughout South Africa for the same project. That’s one per province to a very diverse group of over 2000 graduates. The two things they had in common was the qualification they had achieved and their employment status as banking sector employees. And left it at that, but I had 10 minutes so I decided instead to talk to them about the disruptive trends effecting adult training. A disruptive trend is something that upsets the currently accepted way of doing things. In education and training, we mostly all think that training means a classroom, sticky buns at tea time, a person preaching to us from a stage, pre-printed notes, a course guide and a formal assessment but things are changing – even in education. The harsh reality of corporate-sponsored training these days is that money is tight and the training that most organisations are likely to fund will be job-specific and business-focused. This is not the kind of training you will need to get a promotion, change jobs and remain relevant in the changing workplace. From now on if you want that kind of training you are more than likely going to have to research it, source it, enroll for it and pay for it yourself. Online learning – this is probably the biggest single potential disruptor of education and training for working adults. It allows you the freedom to get the learning you need, when you need it, how you need it and in your own space – all without sitting in a cold classroom for hours on end listening to the lecturer read the notes to you. No need to sit in traffic to get to class. No need to go anywhere but home. Online learning can take multiple forms, from online lectures, custom developed e-learning, games, online readings, videos and a combination of all of these. These are all available, today, in SA at minimal or no cost. Free or almost free learning content – locally we are seeing the #feesmust fall protests, but in many other countries new graduates are saddled with increasing debt from student loans and no prospects of employment. There is a growing realization that learning must be available to all who want it so that everyone can take their rightful place in the economy. But the bricks and mortar providers can’t cut costs – buildings are expensive to maintain – so less expensive education will be found off campus on the web. Customised training for each individual, with pre-assessments to determine your immediate needs, non-linear content that allows you to dip into the content you want, when you want it. And chose in how you get the learning – from video, to reading, to games and any combination of these in any order. And to chose how much or how little you want to engage with online lecturers and classmates. In others words, the days of one size fits all training has gone. You, the student now determine what you want, when you want it and how you want it. That’s exciting. It puts you in charge of your learning journey. You are no longer reliant on your employer to decide when to send you on which training and how it will be delivered to you! So these are some of the disruptive forces in education that have the potential to help you stay on the learning path. 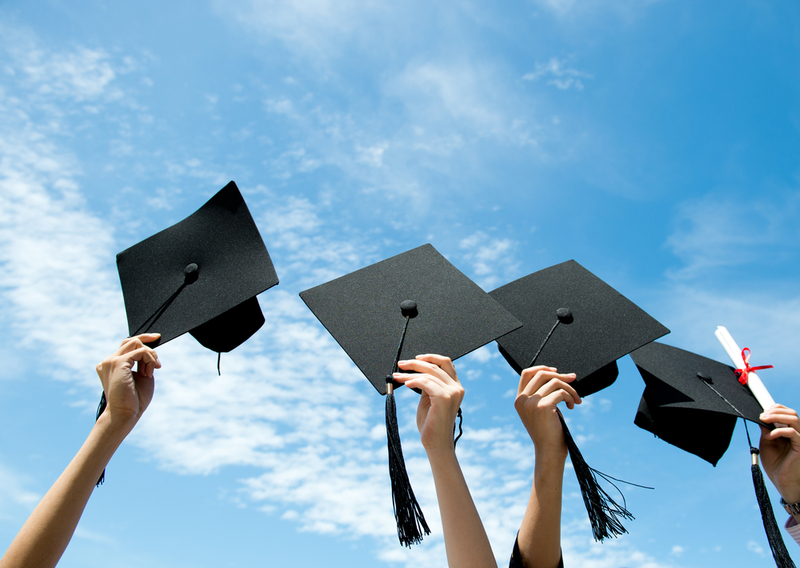 We call it your lifelong learning journey because it certainly does not stop today on the day of your graduation. So this is my challenge to each and everyone of you. Pick up your mouse and go onto the internet. Think about a skill you want to learn and google it. Its all there – programming, flower arranging, time management. This disruptive learning is everywhere – if you are not doing it the person next to you will be doing it. Its cheap, relevant and in your power to get. And guess what? If you don’t do it the person next to you will. And then they will get the job you want. Success is your right – and it is just a click away – make the click and get on with it!